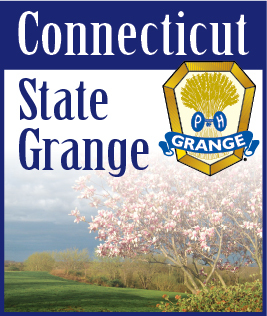 The National Grange Annual Legislative Fly-In is just weeks away. There is no better opportunity to meet with your Congressional delegates and advocate for rural America than the Fly-In, slated for May 22 through 24. Attending Grangers will be scheduled to meet face-to-face with their national representatives, and will take part in expert-led briefings on current legislative issues facing our Congress. Grangers can look forward to advocating for their values before their Representatives and socializing with like-minded Grange members at events such as the evening briefing with PhRMA Speaker Scott LaGanga from Alliances Affordability and Access with dinner included, a breakfast and issue briefing from a member of the Congressional Rural Caucus and a VIP Tour of George Washington’s Mount Vernon Estate and Garden in Alexandria, VA.
For more information or to register, visit the National Grange web site at www.nationalgrange.org or contact National Grange program assistant Grace Boatright at (202) 628-3507, ext. 107 or call 888-4-GRANGE.